Dragon’s Shadow is an engaging fantasy that tackles real-world young adult challenges. Allison Morse’s fantasy Dragon’s Shadow moves between modern America and an alternate land, Hamadriad, where one teenager must go to face her fate. Kylie has never felt at peace in the world, especially since her mother’s death. That loss left her with nothing but fading memories and a mysterious amulet that her mother made her promise to keep safe. In another realm, Prince Jarlon is aware of his responsibilities as the heir to Hamadriad’s throne—and of the prophecy that he must defend it against an evil man-turned-dragon who is poised to take over the kingdom. That prophecy comes calling early, leaving Jarlon and a handful of helpers scrambling to protect their land and their lives. Soon, Kylie joins them in Hamadriad, where she is less sure than ever of where she belongs. The two have support from others. Secondary characters are described with enough depth to advance their own stories and the central plot. Mark, who follows Kylie into Hamadriad, grows from a possible love interest into a central figure who helps Kylie understand what she’s feeling—and who also assists in the efforts to save the kingdom. Jarlon’s childhood friend, Tryffin, becomes a complex character as he struggles with his history and his sometimes-shifting sense of loyalty. Hamadriad becomes like a character in its own right thanks to vivid descriptions of the land and sky, where the sun and moon share space in both the day and night. Humans share the world with animals and other speaking species that work alongside them. Hamadriad is established as a place worth protecting. Details and descriptions are in shorter supply when it comes to the people who set the prophecy. While the dragon is the novel’s biggest villain, few details about what he was like before taking his current form are shared. It is difficult to understand what motivates him. Similarly, stories about Kylie’s mother sometimes seem more like myths than memories; very little is revealed about her personality. Kylie’s father is only mentioned in passing, although his identity is critical to the plot and the prophecy that drives it, and Tryffin’s parents—whose traitorous legacy he’s trying to live down—aren’t fleshed out either. The novel’s focus on the present keeps the action moving, though, and the story answers all its major questions in a satisfying way. 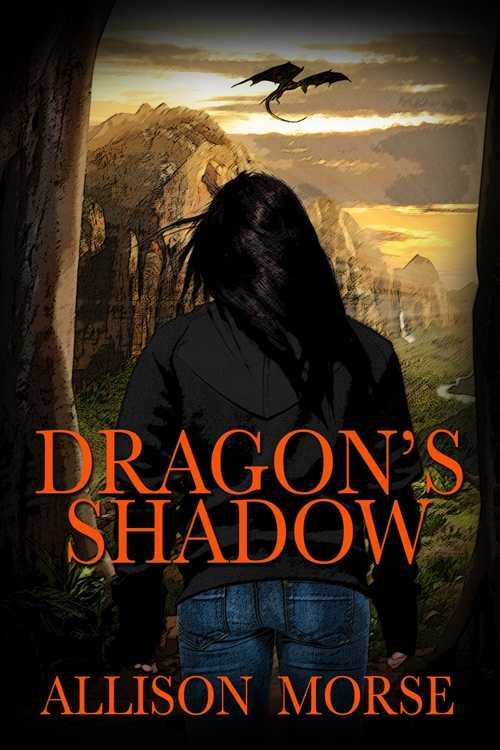 Dragon’s Shadow is an engaging fantasy that tackles real-world young adult challenges.